The ultimate gift for any believer! 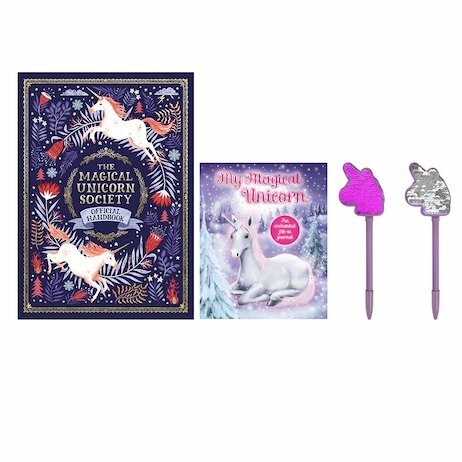 Out of centuries of secrecy, magic and mystery comes this very special book: a beautiful treasure chest of unicorn lore. Do unicorns really exist? While rumours have spread and people have gossiped, the Magical Unicorn Society has secretly been at work. Now, finally, these learned lovers of unicorns are unveiling their handbook: all the facts and fiction surrounding these fabled beasts. Where can you find unicorns? What powers do they have? Who are the Gold and Silver Unicorns? How do you follow a unicorn’s tracks? And why did the Magical Unicorn Society start?